The tournament, then known as the King Fahd Cup, was founded in 1992 and features champions from each one of the FIFA regions. It has gained population and importance over the years as it now takes place every four years, a year ahead of the World Cup – hosted by the same country. 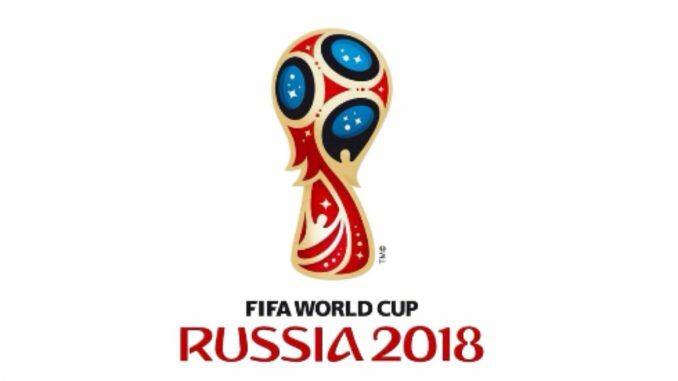 Since the FIFA World Cup 2018 will be hosted by Russia, that means they will play host to this year’s Confederations Cup as well and is regarded by many as the final test for the top teams around the globe before the World Cup but most importantly, as the final rehearsal for the organizing country where their structure, stadiums and logistics will also be under evaluation. As for the fans, it just means it’s a great chance to get a glimpse of the great football we can expect for the 2018 FIFA World Cup. As mentioned before, the 2017 edition of the FIFA Confederations Cup will take place in Russia where 4 different stadiums, in 4 different cities, have been selected to host the matches. The Okitrie Arena home of Spartak Moscow, Kazan Arena home of Rubin Kazan, Fisht arena in Sochi, that although is not used by any first division team of the Russian football team, has hosted another big scale event, the 2014 Winter Olympics, and finally, Krestovsky stadium located in Saint Petersburg, home of Zenit, where the opening and final matches will take place are the arenas where all matches throughout the tournament will be held. The Confederations cup in similarity to the FIFA World Cup consists of a first round group stage followed by a knockout stage. There will be 2 groups, Group A and Group B, each group comprising of 4 teams each. The two best teams from each group advance to the knockout stage where they will play in the semi-finals. The first place of Group A will play the second place of Group B, and the first place of Group B will play the second place of Group A. The two winners of this stage will play the final in Saint Petersburg on the 2nd of July and the runners-up will play for the third place trophy in a match to be held in Moscow. The Russian national team qualifies for the tournament for being the hosts of the competition. Not much is expected from the home team as they are currently ranked 63 in the FIFA World Rankings (a record low for them) and have failed to qualify to the knockout stage in the last World Cup in 2014 and ended the Euro 2016 winless and last place on their Group. The team led by coach Stanislav Cherchesov, consists mainly of players that perform in the local league with very little international experience. Their most notable player is Yuri Zhirkov, the winger who at 33 years of age plays for Zenit and had a short spell with Chelsea in 2010, doesn’t have any more highlights than that. With this in mind and having Portugal and Mexico in the same group, the Russian national team has a tough test against them by trying to at least make it past the group stage. But there’s a possibility of them performing okay by virtue of being at home. The All whites qualified to the tournament as the 2016 champions of Oceania. With nothing to lose and a solid young team managed by the youngest coach to ever appear in a Confederations Cup, 36 year old Anthony Hudson, the Kiwis are going to face the toughest challenge yet in their football history. New Zealand is the underdog looking to upset heavy weights Portugal and Mexico as well as hosts Russia who were drawn on their group. Unlike their previous participation in this tournament, they now have a more balanced team lead by Leeds United striker Chris Wood, who is showing some great form after scoring 30 goals last season for his club, the former Stuttgart winger Marco Rojas, and rising star, creative midfielder Ryan Thomas, who plays in the Dutch league, Eredivisie. One of the favorites to win the tournament, Portugal qualified as the champions of the 2016 Euros and will participate in the tournament for the first time and with quite an impressive squad led by captain Cristiano Ronaldo. 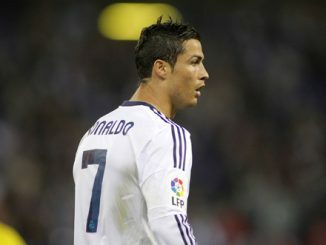 The Portuguese team will be playing in the Confederations Cup for the first time but a lot is already expected of them. Not only do they have Ronaldo in a great form, but they also have young players takinguropean headlines like Monaco’s Joao Moutinho, the speedy winger recently signed by Manchester City Bernardo Silva, and Barcelona Midfielder Andre Gomes. If you add to the mix international stars like Nani, Ricardo Quaresma, Renato Sanches and nightmare for attackers, center back, Pepe, you have one of the cup’s best squads that will be looking to win the title. The German national team arrives at the confederations cup as the world champion, qualifying after winning the 2014 World Cup in Brazil. Die Mannschaft would be the clear favorite to win the tournament if it wasn’t for the fact that they are sending a B squad to this competition, with mainly young players that are going to get a chance to gain more experience and development to earn a spot in the main team that will be going to Russia next year. The team that Joachim Low has called will not be featuring big names like Neuer, Ozil, Kroos or Reus. Instead some new rising stars will be playing for the Germans like 23 year old Julian Draxler and Barcelona goalkeeper Ter Stegen. Nevertheless, Germany has produced some of the best footballers lately, so it wouldn’t be surprising if even with this experimental team, they once again manage to perform well and even win the title. The Socceroos qualified for this edition of the confederations Cup after beating South Korea for the Asian Cup and will participate in the tournament for the fourth time. The country has a surprising positive history in this championship despite usually having less known international players. They finished as runners-up in 1997 and placed third in the 2001 tournament. This time it won’t be much different. Looking at their squad, there might not be any familiar names to the international football fan, but if you look closer, you’ll find many of their players have World Cup experience and have played in top leagues in Europe during their club careers. The player to watch out for will be veteran striker Tim Cahill, who after being a key member of the Everton squad in the Premier League, had a spell with the New York Red Bulls and now plays for Melbourne Victory. The 2017 African champions will participate in their third Confederations Cup in the middle of a generational transition that has seen star players like Samuel Eto’o retire from international competition. The squad that was called by Belgian coach Hugo Broos will feature many young players who mainly play in some of the top leagues in Europe. Their most dangerous player will be star striker from Turkish team Besiktas, Vincent Aboubaka. It will be interesting to see what the “Indomitable lions” can achieve with this new generation of players as they face Germany, Chile and Australia in their group. 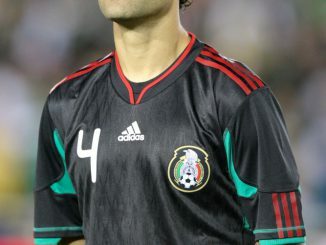 Mexico will participate in their seventh Confederations Cup after becoming the 2015 CONCACAF champion. The “Tri” is the only team in the tournament that has won the title before, after lifting the cup in 1999. The Mexicans have a solid squad with players in top European play like Chicharito Hernandez from Leverkusen, Real Sociedad’s Carlos Vela, Porto’s creative midfielder Hector Herrera as well as skillful winger, rising star, “Tecatito” Corona. The national Mexican team will be playing against Portugal, New Zealand, and Russia for a chance to repeat the title as well as face Chile and settle the score after their 7-0 loss in the Copa America Centenario. Perhaps the strongest team in the competition, the Chileans will be another team making its debut in the tournament after becoming the champions of both the Copa America and Copa America Centenario, having defeated Messi’s Argentina twice – during the final in both tournaments. La Roja has one of the best squads in international football with players like Arsenal striker Alexis Sanchez, electric midfielder from Bayern Munich Arturo Vidal, Inter Milan’s Gary Medel, as well as Manchester City’s Claudio Bravo at goal. They will be looking to add another trophy to their recent success to prove once and for all this is the best national team in the history of Chilean soccer. 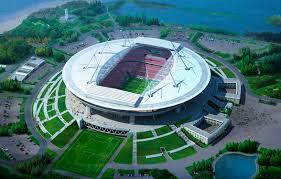 The Confederation Cup kicks off on June 17th with the opening game between Russia and New Zealand.